There is something about eating from beautiful bowls, plates and platters that makes food taste better. Perhaps it’s because the beautiful tableware makes your food look more visually pleasing? We eat first with our eyes, after all! 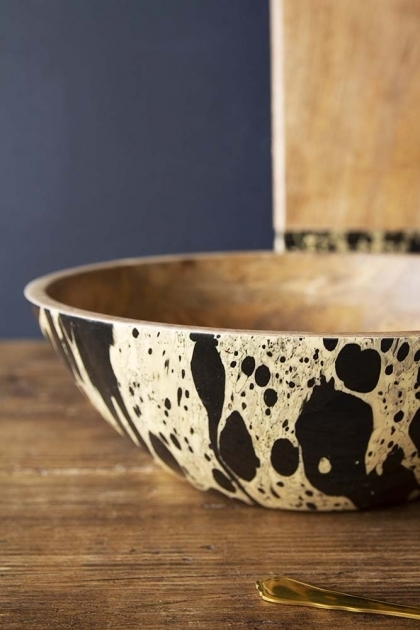 An enamel bowl with an ink effect and wooden effect inner the Ink Mango Wood Bowl is really beautiful. Perfect for salads and sharing dishes the Ink Mango Wood Bowl will look fabulous on your dining or kitchen table. Pair with the Ink Dipped Mango Wood Chopping Boards and create a fabulous tablescape for a totally instagrammable spread of food!